In the beginning of January some good news reached us: we were chosen to be a part of the European Youth Event, EYE for short. Many of you might wonder what the EYE is – to be fair, even we are not fully aware of the extent of it. What we do know, however, is that it could be a life-changing experience for us, something to remember when we’re old and grey. 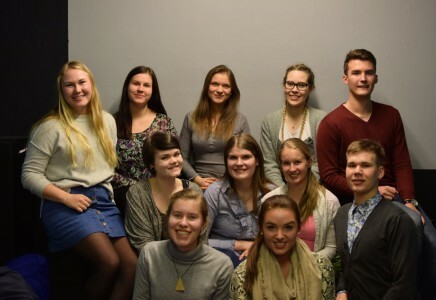 This is also something new and unique for EYP Finland, since the organisation has a chance to send delegates to the event for the first time in its history. As a matter of fact, the EYE is one of the biggest Youth Events held in Europe, gathering thousands of young people from around Europe to exchange ideas and perspectives on youth-related issues and meet with European decision-makers. It will take place from 20-21 May, 2016, and it is located in Strasbourg, the legislative and democratic capital of the European Union. It offers an opportunity to experience rich cultural diversity within Europe as well as discuss current academic topics. The host city of the event, Strasbourg, is one of the most important cities in Europe regarding politics. It is the official seat of the European Parliament, and each month Members gather there for four days to vote and debate in a series of meetings. Located in eastern France, close to the border with Germany, it is in the heart of European decision-making. It is known as the cultural bridge between the two countries. The city itself has a rich history as well as a reputation as a lively city with its large University and beautiful city centre that is classified a World Heritage site. The main partner of the European Youth Event being “YO!Fest”, a political youth festival, the event has potential to combine politics, culture, education and fun through the staging of various artistic performances, spectacles, workshops and educational activities. The event is built around five main themes varying from current crises to future possibilities on both a European and a global level. During the weekend we will be attending multiple workshops and hosting a 90-minute long parliament simulation which represents the EYP’s working methods. We will also continue posting about our journey through social media, so you will have a chance to see what we’re up to! We, of course are super excited! Hopefully this will offer us new friendships and great memories. Next month you will have the opportunity to get to know who “we” in fact are. Until then, we wish everyone a great and EYP-filled spring! Emmi Ilmanen, Elsa Mäki and the rest of the group.